Many ask themselves the fundamental question, what is digital marketing? In a game of chess, the player begins with six different types of pieces and each piece moves differently. Digital marketing has always been about connecting to your audience in the right place, at the right time. Unfortunately, most businesses can be compared to a beginner chess player who makes predictable moves without any real plan behind them. 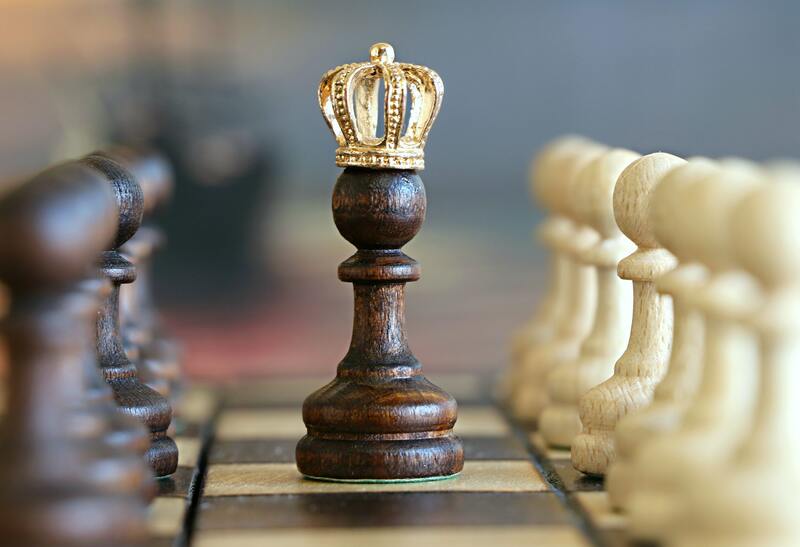 This is not a good strategy for success, which is why we’ve put together this list of ways to claim the throne to digital marketing… Let’s begin! Anyone can try to play chess, but not everyone has the skill and technique to become a master of the game. Search engine optimisation (SEO) works in a comparably similar manner. Anyone can simply conduct optimisation by adding a few keywords. However, a true SEO king has spent time in understanding the process of optimising your content, technical set-up, and reach of your website to rank higher in search engine result pages. Ultimately, your main goal is to rank higher than your opponent does, by attracting and increasing the amount of traffic to your website. You can become an ‘SEO king’, by taking advantage of our digital marketing skills course to equip yourself with the necessary knowledge and skills to make this successful. In chess, each piece carries some weight. The possibilities are such that a single pawn can determine an entirely different flow in the course of the game. Like a pawn, paid search or pay-per-click (PPC) is a method used to increase the flow of traffic to your website through targeted ads. By tailoring your PPC ads to appear when specific search terms are entered, they make your website more visible and effective. Remember: A king isn’t powerful without its pawns. Mobile devices have become a fundamental piece in our lives, with more than 87% of internet users are now smartphone users. 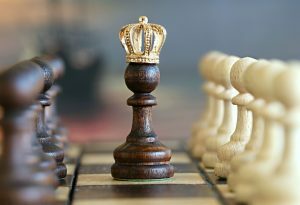 Think of mobile marketing as the rooks, bishops and knights in the game of chess. These pieces represent different components of mobile marketing that allow us to create visibility through email, social media and content marketing. If your online materials are not responsive, then you could lose half of your pieces before you’ve even started the game. According to Radicati ‘there are about 124.5 billion businesses emails sent and received each day, while there are about 111.1 billion consumer emails sent and received each day’. People are very attached to their emails, but the question is how do you make your emails stand out amongst the masses? Great marketers know that just sending an email simply won’t do. To succeed in the evolving world of digital marketing, your email campaigns must provide engaging, relevant, informative and entertaining content that provides value to the reader. Let’s be honest social media has become more than stalking your friend’s accounts and catching up on the latest drama, many rely on social media to explore, research and educate themselves about a brand or product before taking the initial steps to engage with the organisation. It’s no longer enough for businesses to just simply post on their social media accounts. It is essential that social elements are integrated into every aspect of your digital marketing strategy. If you haven’t already heard of the expression, ‘content is king’ you have now! However, I much prefer the expression ‘content is king but engagement is queen and the lady rules the house’. Great content is now claiming its rightful throne as one of the most essential elements in digital marketing. To be clear: content marketing is not just simply a promotional tool but also plays a creative role in the digital marketing world. Although it’s pretty tough providing educating and inspiring content, your users will do nothing but thank you for the value that you add to their day! To learn more about the different digital marketing platforms, how to integrate a digital marketing strategy and understand how to build your presence online, check out our digital marketing skills course. The game of digital marketing is, like Chess, is very strategic. So, to become a master player, it takes practice, skills and a sound strategy. If you’re ready to step up to the podium and become a master in digital marketing, we have the digital marketing skills course for you. Get started and enhance your game plan today.